CBD Helped Treat Toddler's Seizures. State Threatened to Take Her Away. (L-R) Jaelah Jerger, and her parents Lelah and Jade Jerger of Indiana. As a baby, Jaelah Jerger suffered up to 30 seizures a day and the FDA-approved drug her parents tried to treat her epilepsy didn't work. Her father, Jade Jerger, told NBC News every time Jaelah had seizure, "it's like watching part of her life slip away." Feeling helpless, the Jergers decided to try a remedy they'd learned about on the internet, an extract from the cannabis plant called cannabidiol, or CBD. According to the Jergers, within a week, Jaelah's seizures were largely gone. But when they told their medical team in Indianapolis, Indiana, the Jergers were reported to Child Protective Services (CPS). "They were going to take her," said Jade. Though Indiana law allowed the use of CBD in some medical circumstances, at the time, it was not legal for children with Jaelah's form of epilepsy. In February, the Jergers filed a lawsuit against CPS. A month later, Indiana Gov. Eric Holcomb signed a bill allowing for the widespread use CBD. "We feel like we're fighting for our lives," Lelah Jerger said. CBD falls within the definition of marijuana and remains illegal under federal law. 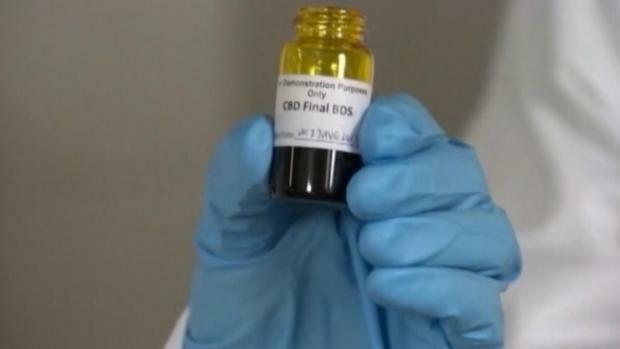 However, on Thursday, an advisory committee to the FDA voted to recommend approval of CBD as a treatment for rare and severe forms of epilepsy.